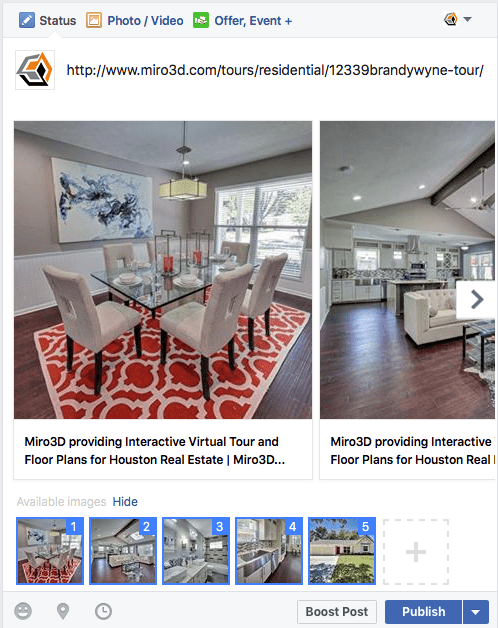 Follow these instructions for sharing your completed virtual tour and photos with buyers, colleagues and social media. For best results, we highly recommend that you optimize for both the HAR mobile app and the desktop website. Copy and paste the tour link provided into the proper area on HARMLS.com. Click on the "Links" tab. Click on "Add Link" and select "Virtual Tour Hyperlink (URL)"
Note: When copy and pasting as a virtual tour be sure to leave the "http://" off of the link. Paste the tour link provided into the proper area on HAR.com. 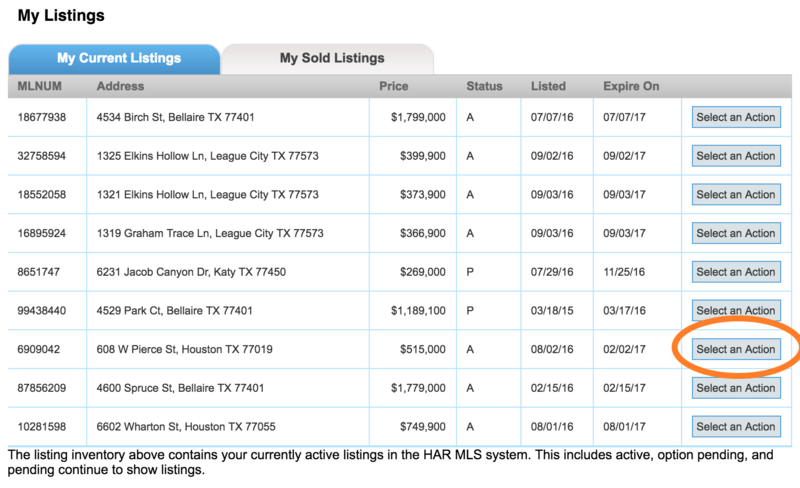 Go to "MLS>My Listings" from the menu. 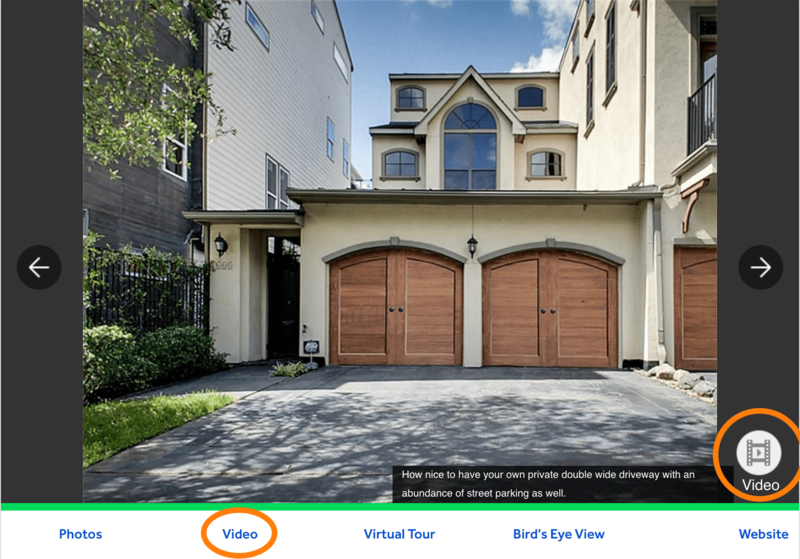 Find the listing that the virtual tour belongs to and click "Select an Action." 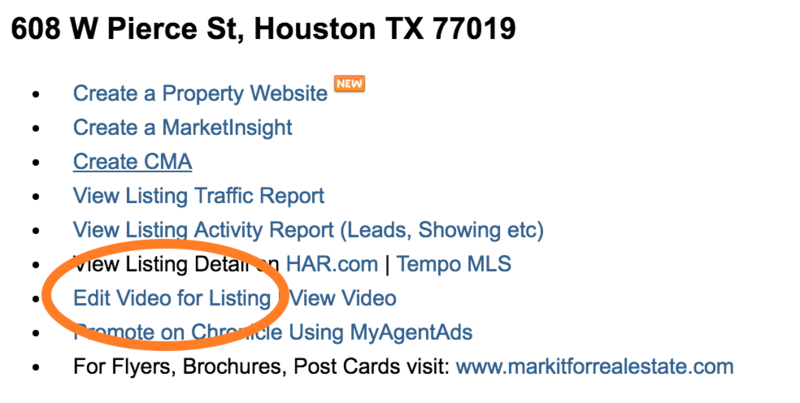 Click "Add Video to Listing" or "Update Video for Listing." 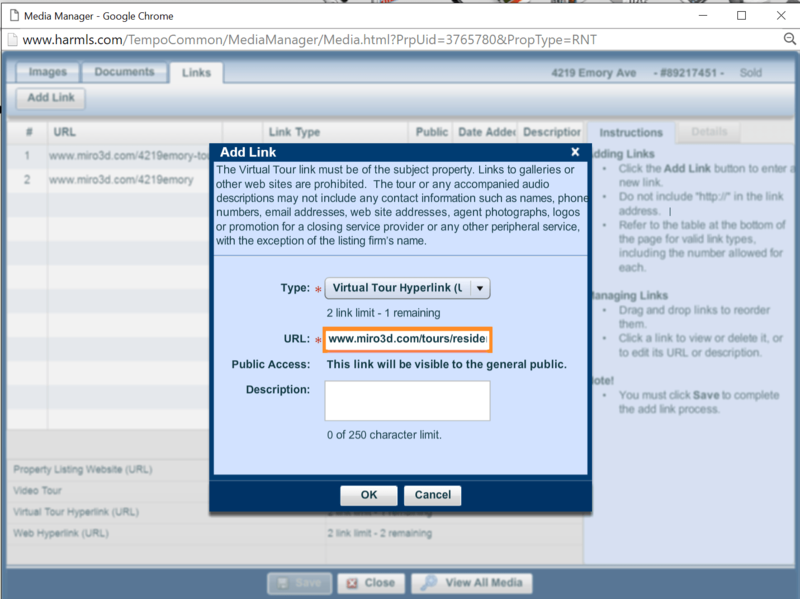 Click "Add existing Video Link" and paste the virtual tour link into the first box. Click "Add Video" or "Update Video"
Visit the photo download link provided. MLS, screen, and full size photos are available to download. 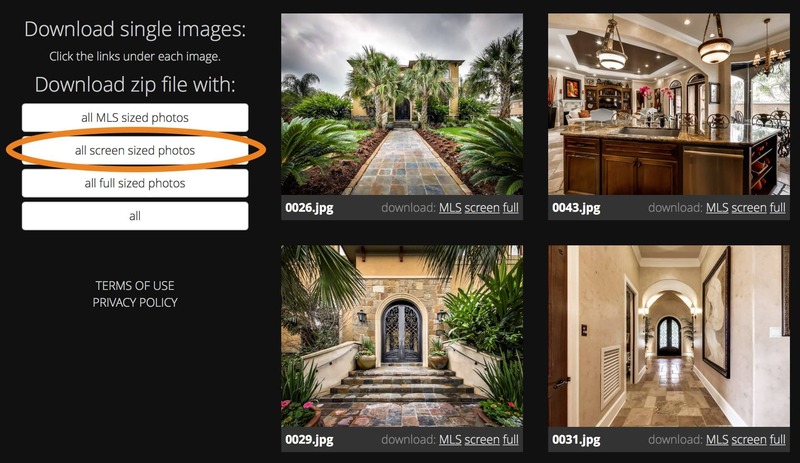 Use "SCREEN" sized photos for HAR and MLS as they are higher quality while still MLS compliant. If you would like an additional photo to be added please send a screen capture of the location in the tour and it will be added for you as soon as possible. Alternatively, if there are any photos you would like to have edited or removed, simply let us know which image file you’d like adjusted and the changes you’d like to see. The floor plan images will be emailed to you as a PDF and JPG upon completion. When the tour is complete, simply paste the above "tour" link into your status box. Once Facebook recognizes the page, up to five (5) photos should appear. You may delete the link if you’d like. Type out any message you’d like your followers to see. Tag us by typing out @Miro3D. Our company page should display for you to select. We will also make a post about the property and share it with our followers. We're always here to assist. Get in touch for any support needs.